Upvc windows and doors are available from range of different profile suppliers including Rehau, Kommerling, Spectus and Eurocell, with colour choices in woodgrain foil and colour coating in any RAL or BS colours. A to C rated windows are offered with options for triple glazing to most profiles, along with a wide range of patterned glass and ironmongery. Composite doors for the more traditional appearance are also available with many design and colour options. 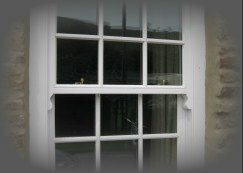 Repairs to Upvc doors and windows such as replacement locks, handles, hinges, gaskets and replacement double glazed units.